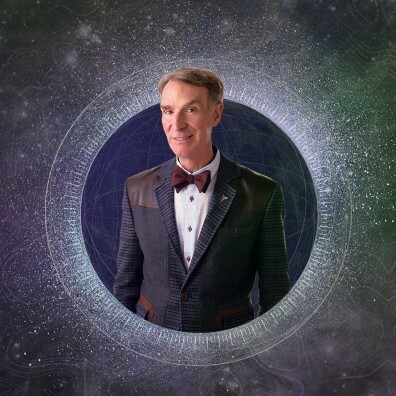 Get your bow ties ready because Bill Nye is coming to UCF! Students, faculty and staff are invited to spend “An Afternoon with Bill Nye,” popularly known as “The Science Guy,” on March 15, 2016. Nye won America’s heart as the star of the live-action educational comedy that aired on PBS from 1993-1998. He famously wore his blue lab coat and a bow tie in every episode and discussed natural science topics while using entertainment to captivate his audience. During his time hosting the show, he won seven Emmy Awards for writing, performing and producing. Besides being an engineer, host, writer and actor, Nye spends the rest of his time doing what characterizes him the best—being a scientist. In the early 2000s, he was part of the team that helped develop the sundials that were part of the Mars Exploration Rover. From 2005-2010, he was the Vice President and then second Executive Director of The Planetary Society, an organization that supports technology and scientific projects for young creative minds. Deeply concerned about scientific issues, Nye has authored several books including his latest, “Unstoppable: Harnessing Science to Change the World.” In it, he writes about how the seemingly unsurmountable challenge posed by climate change is an opportunity for society to rise to the occasion and create a cleaner, healthier, smarter world. This book will be on sale at the event, and a short signing will follow. This event takes place at 3:00 p.m. in the Pegasus Ballroom of the UCF Student Union, with doors open at 2:00 p.m. Tickets are required to attend and available at no cost, thanks to event sponsors. There are a limited number of tickets available for students through the SGA Ticket Center on the first floor of the UCF Student Union. A limited number of tickets are available for community members to attend. Please email global@ucf.edu for more information. A campus-wide and community effort makes this event possible. For a full list of sponsors and for more information about this event, please visit www.ucfglobalperspectives.org. ***UPDATE*** All community tickets for this event have been distributed. A limited amount of tickets will be distributed to students through the SGA Ticket Center on March 14, 2016.